An event with a very distinct first and last theme took place in the skies over southern England on the afternoon of 14 September 2016. 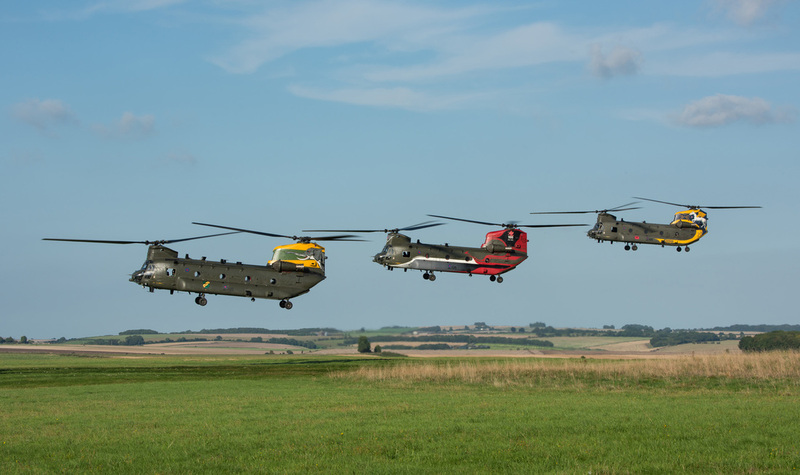 Three Boeing Chinook HC.4 helicopters from RAF Odiham’s Nos 18 (B) (ZA712), 27 (ZA683) and RAF Benson’s 28 (ZH777) Squadrons took part in a formation photographic sortie from Odiham. This was the first time all three centenary marked Chinooks had been seen collectively together. 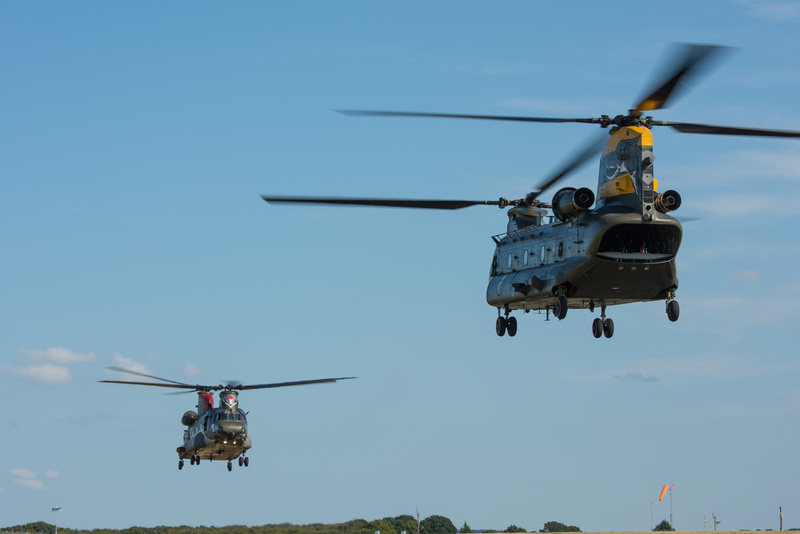 ​Before the flight departed an opportunity was afforded to a small group of media and invited guests to photograph the three Chinooks on Odiham’s ramp. 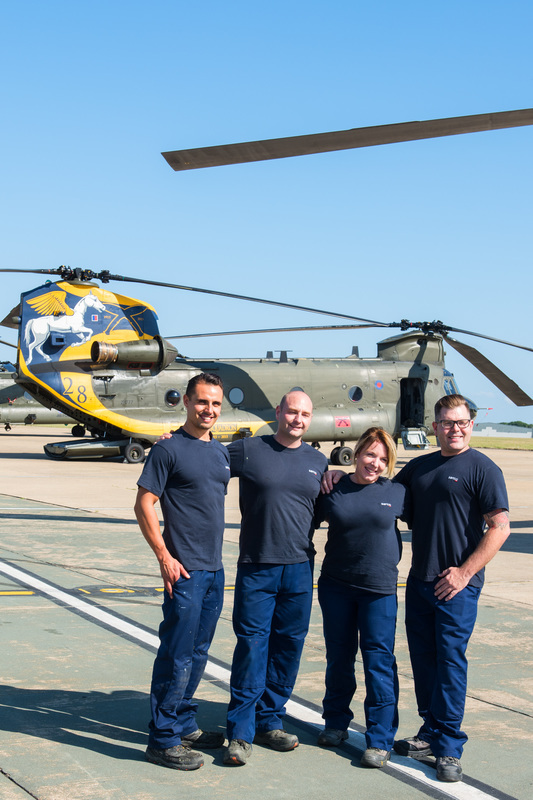 ​For once the unpredictable British weather on the day was fine and sunny, as the air and ground crews prepared the three helicopters for their flight south. In company with the Chinooks, a Westland Lynx AH.9A (ZG916) from No 657 Squadron AAC acted as the formation's photoship. ​At the allotted time the familiar thump of the Chinook’s rotor blades and the underlying whine of their Lycoming T-55 engines were heard as each helicopter went through their pre-flight checks. The Chinooks, with ZA683, leading then taxyed and positioned themselves for the Lynx to take a number of photographs of the helicopters in the hover, looking back towards Odiham’s hangars and ramp. ​Following this the formation departed on their flight to the South Coast where they overflew Selsey, Portsmouth, Cowes and the Needles. 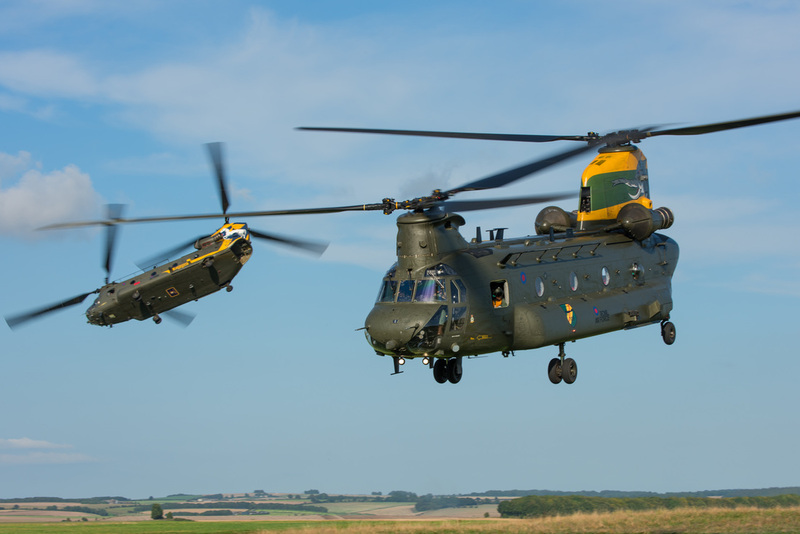 The flight then turned inland and headed for one of the Chinook's regular training grounds, the Salisbury Plain Training Area, where a number of photographers were gathered to record the scene. 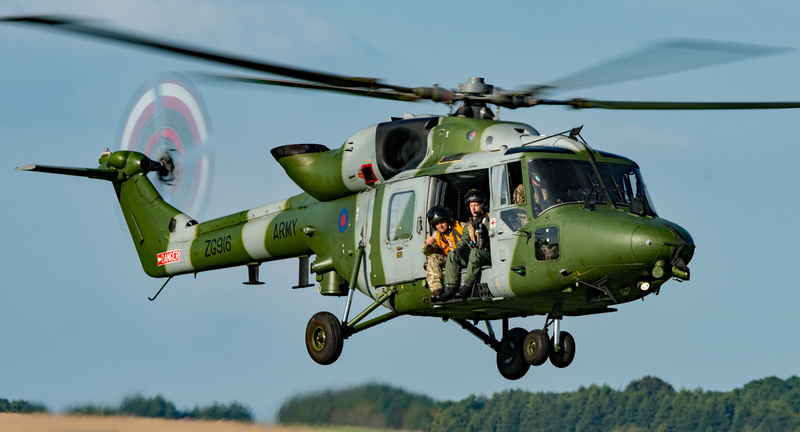 ​After spending over half an hour on the Plain, in which time the Chinook’s positioned themselves so that each Squadron had a turn at leading, the three helicopters returned to Odiham accompanied by their Lynx photoship. ​Whilst the three helicopters have often been seen individually, this was the first time all three had been observed together and according to RAF sources, is highly likely to be the last. In 2015 and 2016 each Chinook had special artwork applied to commemorate their respective squadron’s centenaries. The artwork was designed by Chinook pilot Flight Lieutenant Andy Donovan (who also organised the photographic sortie and choreography) and was applied by a specialist team from Serco. 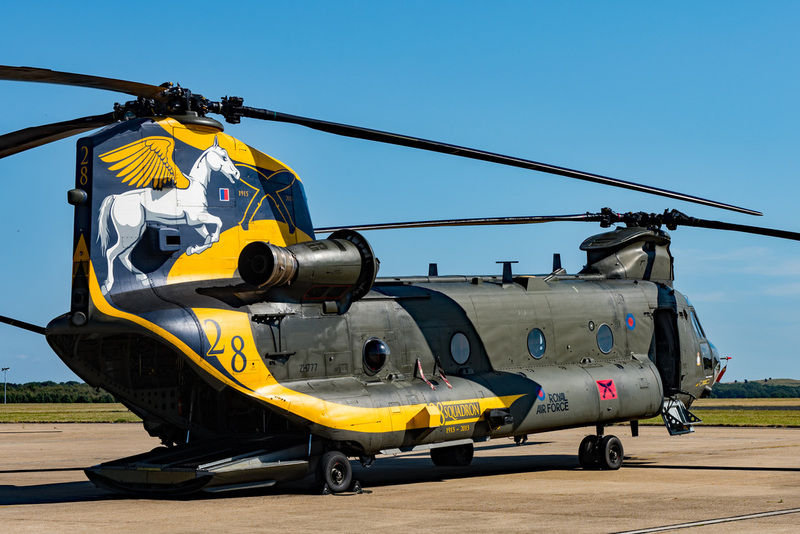 This was the first of the trio of Chinooks to have the centenary colour scheme applied in May 2015 at RAF Odiham. No 18 Squadron was formed at Northholt in May 1915 and at the time formed part of the Royal Flying Corps. The Squadron’s badge features a rampant Pegasus which was approved for use by King Edward VIII in May 1936. In World War One the Squadron co-operated with the Cavalry Corp at the time of the Somme Offensive and Pegasus was chosen to commemorate this historic connection. 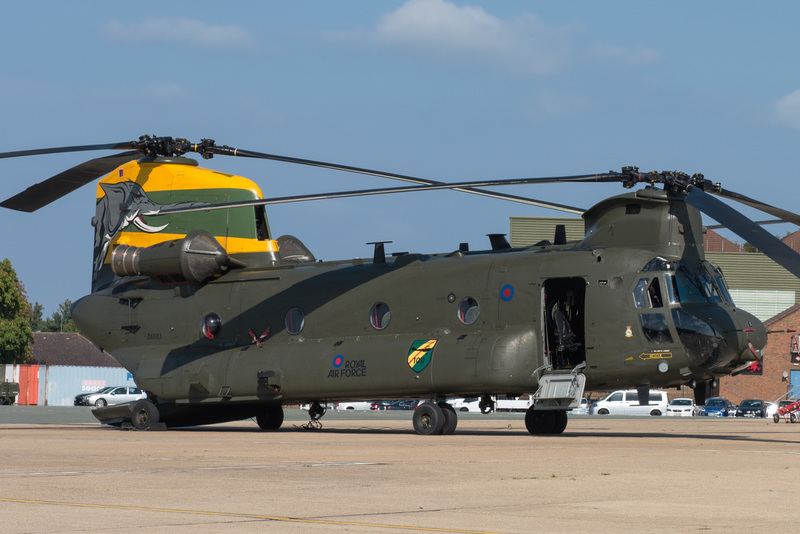 ​The scheme applied to the 18 Squadron Chinook within its design encompasses the Squadron’s transition from 1915 through to 2015. There is a great deal of thought gone into this scheme which includes the change of colour of Pegasus from white to red in 1936, through recognition of the Squadron’s participation in World War 2, operating the Canberra and present day operations. The finishing touch is the incorporation of 18’s motto Animo et fide (With courage and faith). On 5 November 1915 No 27 Squadron was formed as part of the Royal Flying Corps at Hounslow Heath Aerodrome. Initially equipped with the Martynside G.100 Elephant bi-plane, which was deemed to be a fighter, No 27 went on to utilise the aircraft for reconnaissance and bombing, a role for which it was more suited. 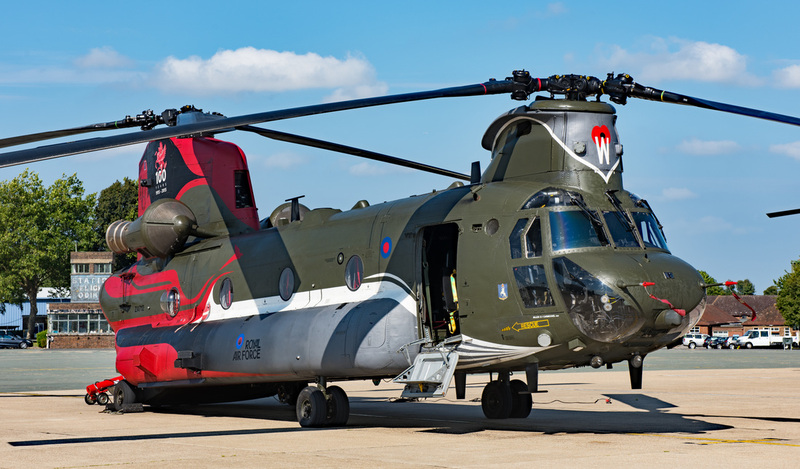 The centenary paint scheme was applied to the Chinook at RAF Odiham with unveiling taking place on 5 November 2015. No 28 was formed on 7 November 1915 at Gosport but due to a number of changes that were taking place at the time, it was not been possible for the Squadron to celebrate its centenary until a later date. The 7 April 2016 was chosen to mark the event as it was also the day the Squadron moved into its new hangar facilities at RAF Benson in Oxfordshire. The Squadron’s badge features a demi-Pegasus and fasces which was approved in 1936 by King Edward VIII. 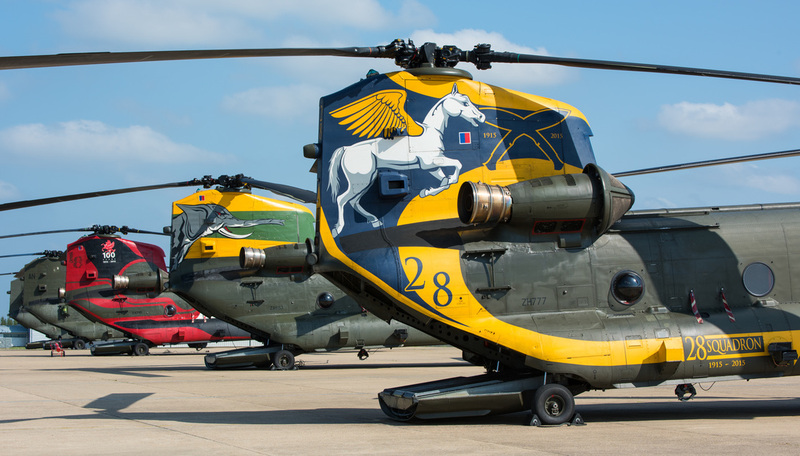 The demi-Pegasus represents the white horse carved into the chalk near Yatesbury, No 28’s first operational base, whilst the fasces commemorates the Squadron’s service in Italy in World War One. My thanks go to Nyssa Cole at RAF Odiham for co-ordinating the event and to Chris Cannon - www.simplyplanes.co.uk - for the invite.